Dave Dombrowski, the Red Sox’s president of baseball operations, can play the “Fire John Farrell” card at any time. That time might have come Monday, if the Red Sox had not avoided getting swept four straight in Oakland by winning the final game of the series. It might come next week, if the Sox fail to ignite during a six-game homestand against the Rangers and Mariners. Or it might never come, if the Sox play well enough to ensure Farrell’s job security through the rest of the season. The latter possibility seems remote with the Sox sitting at 22-21, but the season is barely one-fourth complete and problems exist with any “Fire Farrell” scenario. Dombrowski, after almost 30 years as a lead executive, isn’t necessarily worried about any outside reaction, but seriously, who would he pick to replace Farrell? Gary DiSarcina, in his first season as bench coach, is the only member of Farrell’s staff to previously manage in the Red Sox organization — he directed Short A Lowell from 2007 to ’09 and Triple A Pawtucket in ’13. Third base and infield coach Brian Butterfield, who arrived from the Blue Jays with Farrell prior to ’13, is popular with the Red Sox players and previously managed in the Yankees and Diamondbacks organizations. His last managing job, however, was 15 years ago. The promotion of DiSarcina or Butterfield on an interim basis would come with its own risks. The Sox then would need to find a permanent manager during the off-season, when the obvious choice — Lovullo — was still part of their major-league staff just eight months ago. The Sox went 28-20 under Lovullo after starting 50-64 with Farrell in 2015, but it would have been wrong of Dombrowski to make a change once Farrell was ready to return from non-Hodgkin lymphoma. The time to elevate Lovullo, if Dombrowski wanted him, would have been at the end of last season — yes, after Farrell led the Sox to a 93-69 record and AL East title, only to be swept by the Indians in the Division Series. 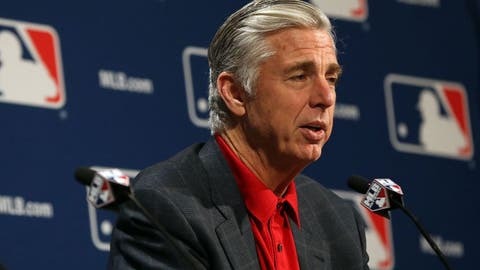 Dombrowski announced that Farrell would retain his job but created a measure of uncertainty by delaying until December the exercising of the manager’s option for 2018. 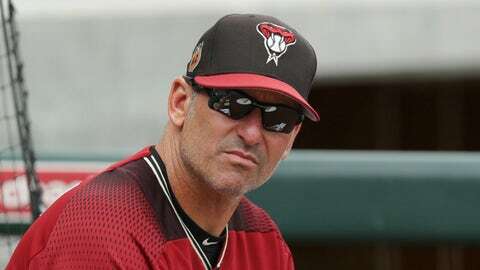 Lovullo, meanwhile, left to become DBacks manager under former Sox executive Mike Hazen — and currently has the team in second place in the NL West at 27-19. Would it have been uncomfortable for Dombrowski to replace Farrell with Lovullo, who had been a loyal friend to the manager? Of course. But it will be even more uncomfortable if Dombrowski dumps Farrell for a questionable choice at some point this season. So, for Dombrowski, the question might be: Why rush into such a move? Legitimate reasons exist for the Sox’s mediocrity — the retirement of David Ortiz, the injury to David Price, the season-long absences of relievers Tyler Thornburgh and Carson Smith, etc. The rotation beyond Chris Sale and Eduardo Rodriguez has been inconsistent. Price will need time to build up to seven or eight innings once he returns. The Red Sox’s offense is another concern. 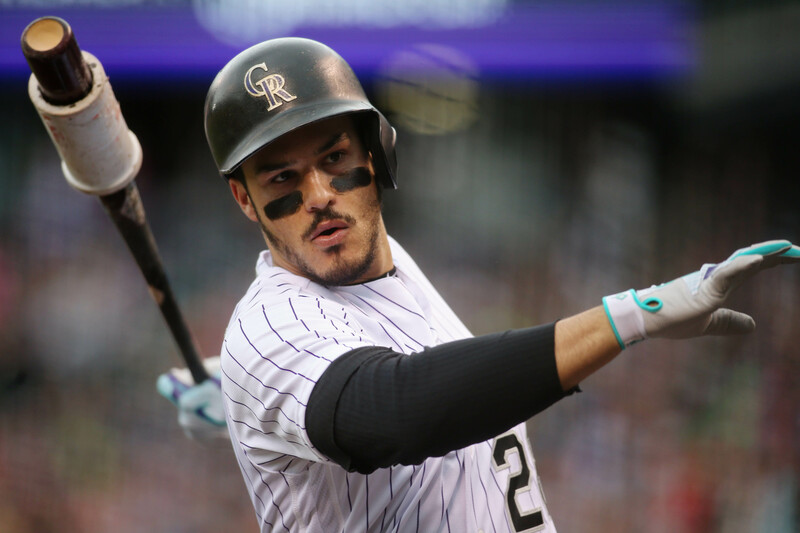 The team ranks second in the AL in on-base percentage, but has dropped from first in slugging percentage last season to ninth this season, and not just because of the absence of Ortiz. Center fielder Jackie Bradley Jr. is batting .208, and the roster also includes some ill-fitting parts. 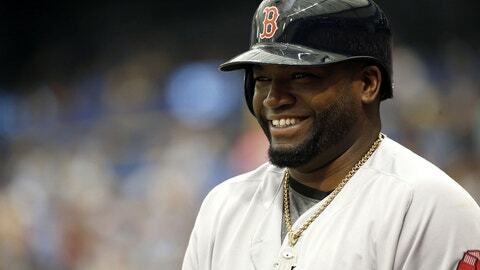 The Sox have used five starting third baseman due in part to Pablo Sandoval’s sprained right knee, and Hanley Ramirez has played only three innings at first due to nagging right shoulder soreness. The original plan was for Ramirez to play the field against left-handers with Chris Young moving to DH and Mitch Moreland getting a rest. Instead, Moreland has appeared in 42 of 43 games, more than any other Red Sox player. The excuses for the Sox, though, go only so far — all teams deal with injuries, and not all of them boast $200 million payrolls. Other issues also have emerged under Farrell — issues about the way he connects with players — and to some degree they are not new. Farrell, even when he won the 2013 World Series in his first year with the Sox, was not popular in all corners of the clubhouse. Some players, but not all, believe that he does not stand up for them strongly enough to the media when the team is struggling, sources say. Some also question Farrell’s game management, talk that exists in virtually every clubhouse, some more than others. Two incidents this season, though, raised questions about Farrell’s leadership. The second incident occurred last Saturday, when Farrell engaged in a heated exchange with left-hander Drew Pomeranz in the dugout. Pomeranz, continuing his rocky season, had been removed after throwing 97 pitches in four innings. He seemingly had little reason to complain. But his willingness to publicly challenge Farrell, in an exchange captured by television cameras, offered another indication that the manager and some of his players are not always on the same page. Maybe this all goes away soon; the Red Sox are talented enough to start playing better and end any questions about Farrell’s status. But a manager’s job security in Boston almost always seems like a day-to-day proposition, given the intensity of the media and fan base. Dombrowski has ignored the noise and consistently supported Farrell, but the longtime exec also is pragmatic. If Dombrowski senses a change is necessary, he’ll make a change. No matter how it looks. No matter which questions arise.